Workplace Giving is an easy way to support The ALS Association Greater Sacramento Chapter. Your gift supports patient service programs and nearly 80 research projects throughout the world. Giving at work through payroll deductions is simple and there are many convenient ways to contribute. As a member of Community Health Charities (CHC), we are one of the voluntary health agencies participating in the CFC. 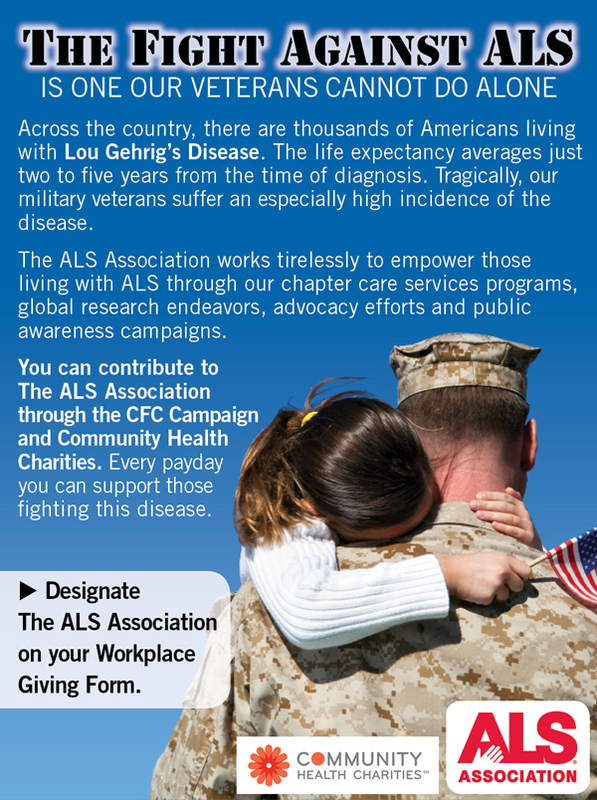 Federal government employees are encouraged to participate in the CFC and may designate The ALS Association Greater Sacramento Chapter by writing The ALS Association - Greater Sacramento Chapter on the Workplace Giving Form.